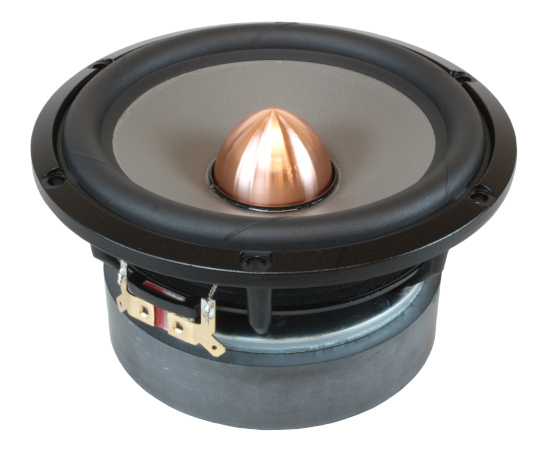 The new W16NX003 launches our new series of Excel Graphene woofers. More than a thousand engineering hours and significant investments have been put into the Excel Graphene product line, and the W16NX003 is the first one. High purity Graphene, which is a nano-material with special properties, is added to the surface treatment. Please see our white paper for details. Low mechanical and electromagnetic damping ensure high quality reproduction of even the finest micro details in music. At the same time the high-performance titanium voice coil and its connection to the cone has very high power-handling, suitable for modern amplifiers (e.g. Class-D). Therefore, the driver has exceptional high dynamic capability, which the light and stiff and well damped magnesium cone transfers into clean and undistorted sound, suitable for modern High-Res audio.